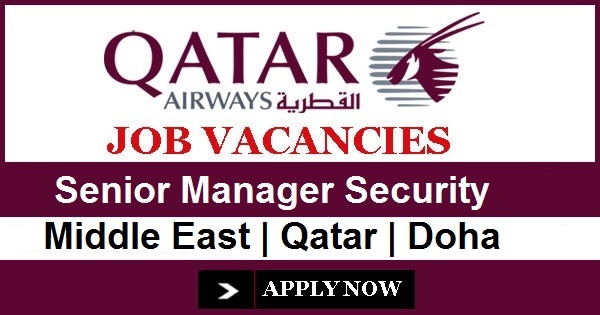 You will be responsible for developing Qatar Airways Security policies and manuals as well as maintain any amendments, as per the Airline Security Programme for passengers and cargo operations. You will prepare Security Bulletins and ensure compliance from all personnel as it relates to the day to day aviation security operations. Managing the overall audit and compliance teams of Qatar Airways Aviation Security on a day-to-day basis, maintaining Standards and Procedures in accordance with Qatar Airways Aircraft Operator Security Progamme, Qatar National Civil Aviation Security Programme, ICAO and international worldwide aviation regulators. Overseeing and responsible for Aviation Security occurrences within the business. Work closely with Hamad International Airport and Qatar Airways stations to develop external and internal security audits and compliance worldwide. Define, with the VP of Group Security, the Qatar Airways security aims and objectives in order to provide the necessary required security compliant passengers and cargo operation. Establish your team’s objectives and priorities to align with and support business objectives. Regularly evaluate the teams’ objectives, plans, procedures and practices, and make appropriate changes if needed. Investigation experience in either a law enforcement or corporate security environment.